If you ask people to tell you what is it they like about their favorite audio dramas, more than likely one of the aspects they'll talk about will be the music in it. An audio drama can have great acting and sound design, but if the music isn't equal to or greater than those things, then the quality of the production suffers. When the music is well done, the whole production gains in quality. 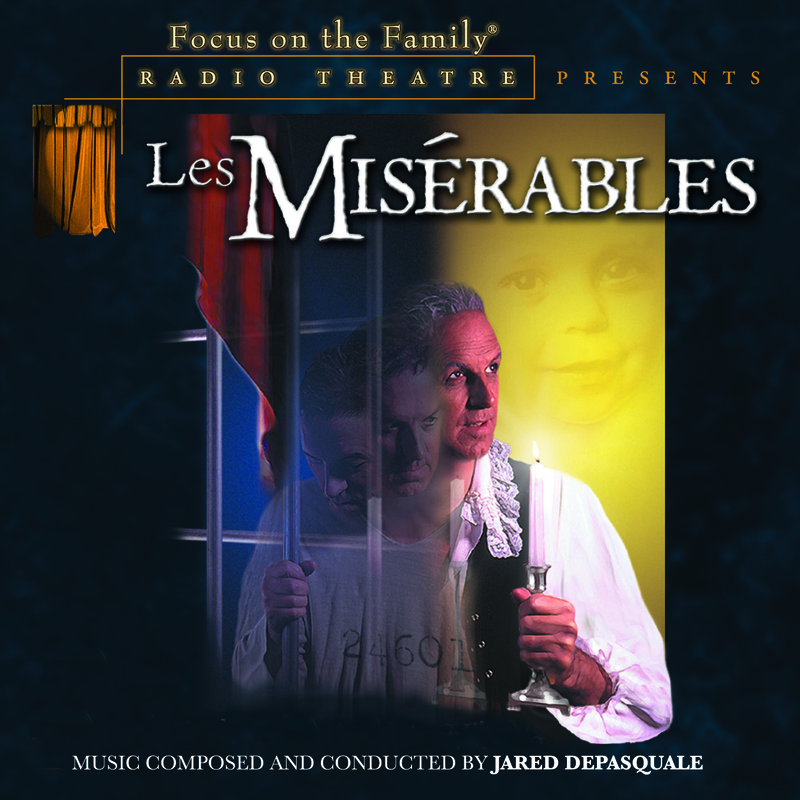 One of the best examples of the latter is Focus on the Family Radio Theatre's dramatization of Les Misérables. Victor Hugo's classic story of redemption was brought to life in 2001 for radio. One of the most outstanding aspects of the drama was the music. Finally, this amazing score is now available to be enjoyed on its own! The score was composed and conducted by Jared DePasquale who has composed music for other Radio Theatre dramas. It was recorded at Nashville's OceanWay Studios. It was recorded and mixed by Grammy nominated engineer, Terry Christian. 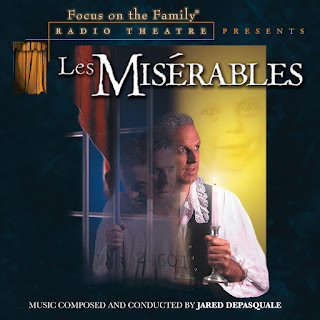 About this particular score, Jared DePasquale had this to say: "Out of all the Radio Theatre scores I've written for Focus on the Family, Les Misérables is the score that is requested most often by its listeners. I can still remember the weight of responsibility I felt when I was approached to compose this music. The challenge of finding my own musical voice amidst a story that is so globally known was extremely daunting, but I think I was able to arrive at something which stayed true to the feel of the story yet brought something new to the musical heritage of Victor Hugo's work. I'm thrilled Focus on the Family will be releasing this score." You can hear DePasquale go more indepth into the story behind this score in his interview on episode 65 of the ATC podcast. Jared DePasquale was the recipient of Audio Theatre Central's Best Musical Score of 2016 award for his work in Brother Francis: The Barefoot Saint of Assisi. Focus on the Family has also released two other soundtracks from past Radio Theatre dramas, including Little Women and The Hiding Place. Which Radio Theatre soundtrack do you think should be released next? You can get your own copy of the Les Misérables soundtrack on Amazon and iTunes. You can also get a copy of the full audio drama itself from Amazon and iTunes.